In my series about comprehensive travel guide of Kinnaur Valley, today I am going to write about the best time to visit Kinnaur Valley. This article will help you understand the pros and cons of visiting Kinnaur Valley in different seasons and also help you opt for the right time to travel. In general, the roads to Kinnaur Valley remains open all around the year barring few days of heavy snowfall on Hindustan Tibet Highway, especially near Narkanda. There is no high mountain pass that falls on the Hindustan Tibet Road, so even in winters, there isn’t much issue about closing the road. However, there are certain factors that should be kept in mind depending on the month you plan to visit Kinnaur Valley. When is the best time for Kinnaur road trip? When is the best time to visit Kinnaur Valley? You can travel to this beautiful valley of Himachal Pradesh by taking the route from Delhi / Chandigarh to Solan – Shimla and then further towards Narkanda – Rampur and enter Kinnaur Valley. 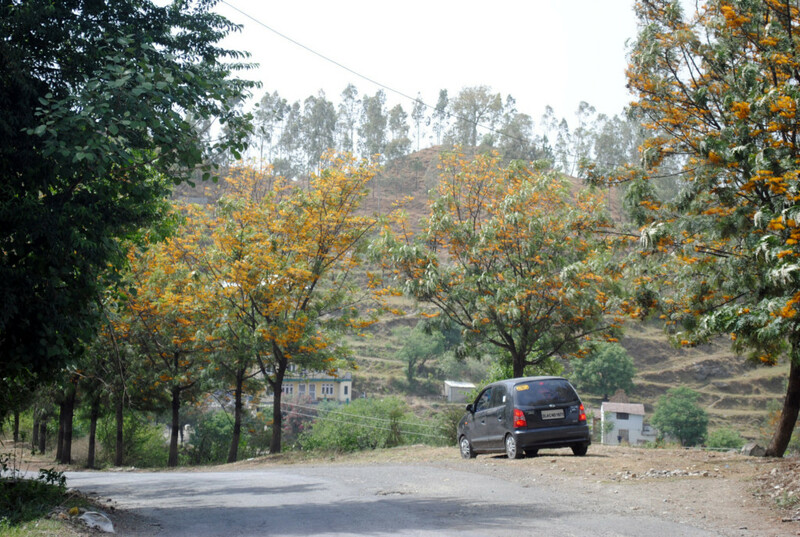 Alternatively, you can travel from Solan – Chail – Kufri – Narkanda route as well to reach Kinnaur Valley. Some people also cover Kinnaur while coming back from Spiti Valley from Manali side. The first major attraction that falls on the route to Kinnaur Valley via Shimla is Sarahan village, just about 14 km diversion from Jeori after you enter Kinnaur Dwar. Some people will travel directly to Kalpa or Sangla from Shimla / Narkanda and then while coming back they will stay at Sarahan. 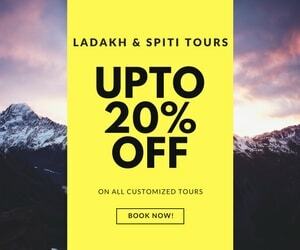 And if you are traveling further towards Spiti Valley to visit Kaza – Tabo, and exit from Kaza – Kunzum Pass – Manali road, then it is much better to halt at Sarahan for a night. 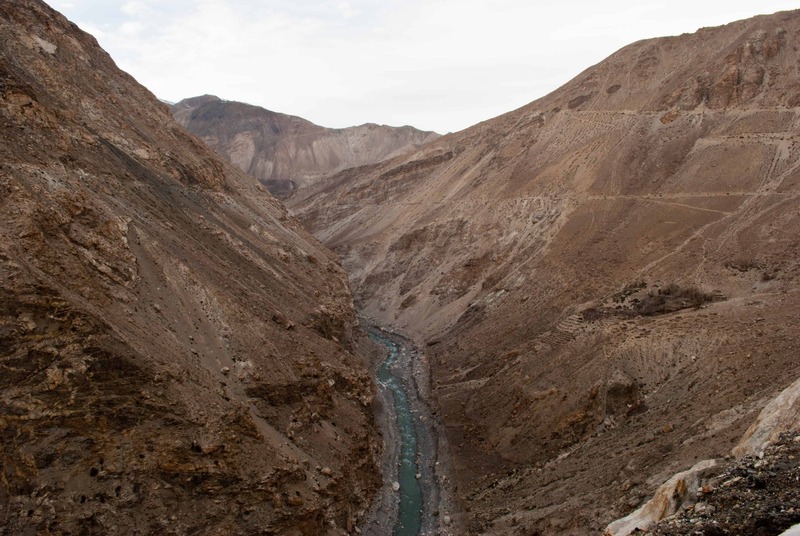 However, the road from Kaza to Manali over Kunzum Pass remains closed for about 6 months in winters. Hence, people traveling to Spiti Valley in winters will have to go & come back from Kinnaur Valley side only as there is no other choice. Sarahan is just the start of Kinnaur while there are some other interesting places in Kinnaur Valley as well such as Kalpa, Sangla, Chitkul, Nako and many unknown yet extremely beautiful villages. I will talk about these beautiful villages of Kinnaur Valley in some separate dedicated articles on them. 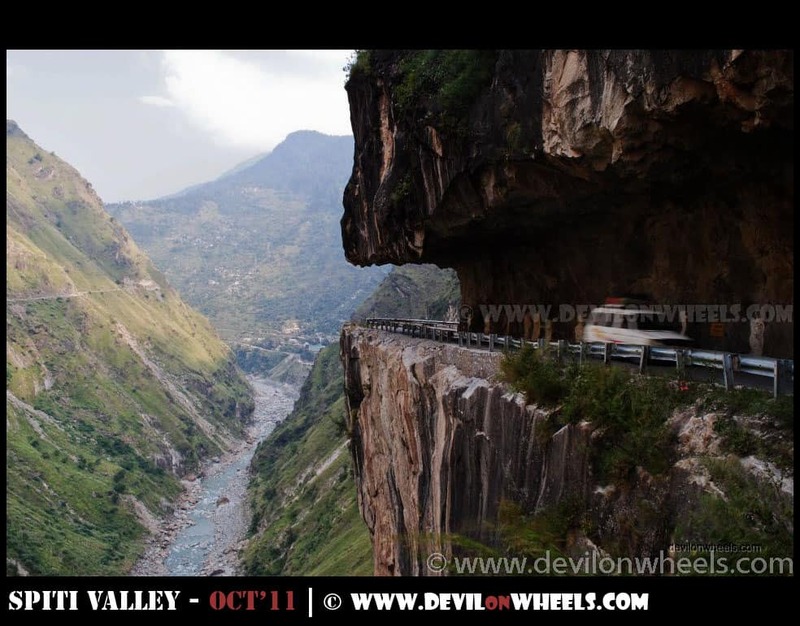 Please note that the road to Kinnaur Valley is also called one of the treacherous roads in the world. In the remaining part of this article, let’s check in detail on how the whole year looks like and what exactly is a good time to visit Kinnaur Valley. After reading the article, you can evaluate which month or period shall be best for you to travel to Kinnaur Valley. It is that time of the year when the snow starts to melts and flowers in apple orchards bloom in the spring season. This is the perfect time to see snow-laden peaks of Kinnaur region and enjoy the colors of the beautiful landscapes of the Himalayas. The road to Chitkul also opens by the second week of March and the Baspa river emit some beautiful colors of water too. You can even hike around to get to snow and play with it especially in March. Regarding Kinnaur Valley weather in the spring season, the nights and early mornings are a bit cold while the rest of the day is cool to warm. There aren’t much of tourists in Kinnaur Valley before May. Hence, months of March and April are a very nice season to travel to Kinnaur Valley. Having said that, keep in mind that in March – April the snow melts, so the road does get blocked often due to snow slides and landslides. Also, the roads are in not so good conditions. You should also expect slush on roads and occasional rainfall/snowfall too. The months of May and June along with middle of July are the peak season to visit Kinnaur Valley and Spiti Valley. The road from Manali to Spiti Valley also opens by that time, so a lot of people come down as well from that route. Mostly all the link roads to various sightseeing places or remote villages in Spiti Valley as well as Kinnaur Valley are open during this period and hence, you can plan your visit without missing any places of sightseeing in Kinnaur. It is also the time when holidays are going on in school and the heat is beating the humans in North Indian cities. People just travel to places in the Himalayas to get some cool air and refreshment from the scorching heat of summers. You can really enjoy and do camping along the rivers in Sangla / Baspa Valley or around Chitkul . In the recent past, June appears to have good pre-monsoon showers in Kinnaur Valley and not to forget the (June 2013) tragic flash floods in Kinnaur district. So, the weather in Kinnaur and other parts of the Himalayas is somehow becoming unpredictable nowadays. Hence, it is recommended that you always check the weather updates before embarking on the journey. In any case, this period is considered as one of the better times to travel to Kinnaur Valley. August is the time when the monsoon is in full flurry in Kinnaur Valley and lower Himachal region apart from other parts of Northern India. Please DO NOTE that Kinnaur Valley is not a place to be in monsoons due to its fragile mountains and history of massive landslides. In this period, roads are almost in a bad state as compared to the rest of the year in Kinnaur Valley. If you are traveling to Spiti Valley, keep in mind that Spiti Valley falls under Trans Himalayan region which is generally rain shadowed. However, in recent past, even Spiti Valley gets frequent drizzles and overcast skies. In my opinion, generally, this time shall be avoided, as much as possible. If still, you want to embark on the journey to Kinnaur Valley in monsoon time then you should have enough number of buffer days in hand to face intermittent delays or even cancellation of the trip. 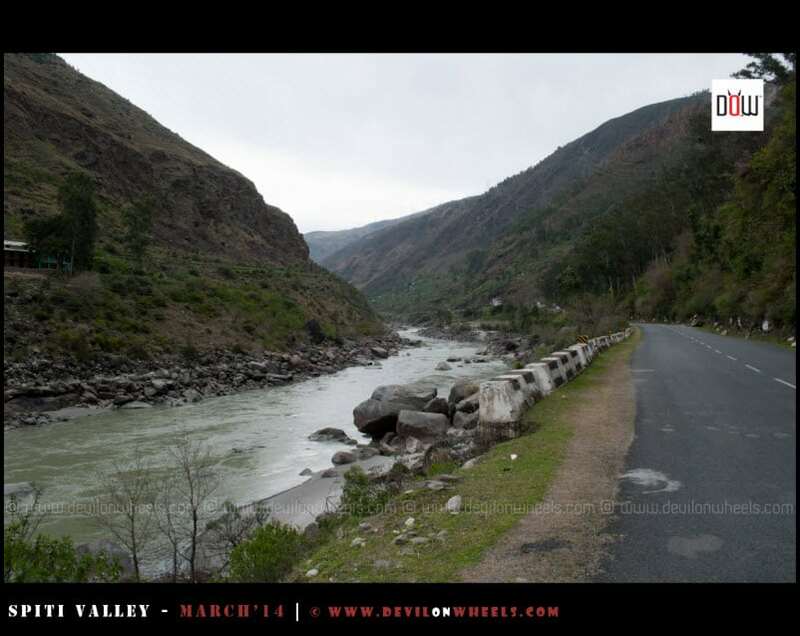 Pro Tip: Are you confused on budget of your Kinnaur Valley trip? If yes, then you can check my article on calculating the budget of Kinnaur Valley trip. As the monsoon season goes away, the road starts to get better. Autumn or pre-winters is the time which is my favorite time to visit Kinnaur Valley. Especially late September/October when the fall or autumn season is at its peak, you will enjoy the road trip to Kinnaur at its fullest. The colors of the valley are surreal and blooming with orange leaves on the trees enhancing the beauty of magnificent backdrops by many levels. The aqua colors of water in the river just add jewels to the pristine beauty of Kinnaur Valley. The temperatures become warm in the day time with cool to cold nights. So, carrying woolens clothes and light jackets is highly recommended. The roads are in the best conditions as compared to rest of the season with minimal roadblocks. However, if you are a snow lover then this is not the time for you as most of the snow melts away from the peaks by this time of the year. Finally, this is when winter starts to set into Kinnaur Valley. The road to Chitkul closes down for 4 months due to heavy snowfall and even at times, the road to Sangla gets closed for a prolonged period. Kalpa is the best place to enjoy winter in Kinnaur Valley. 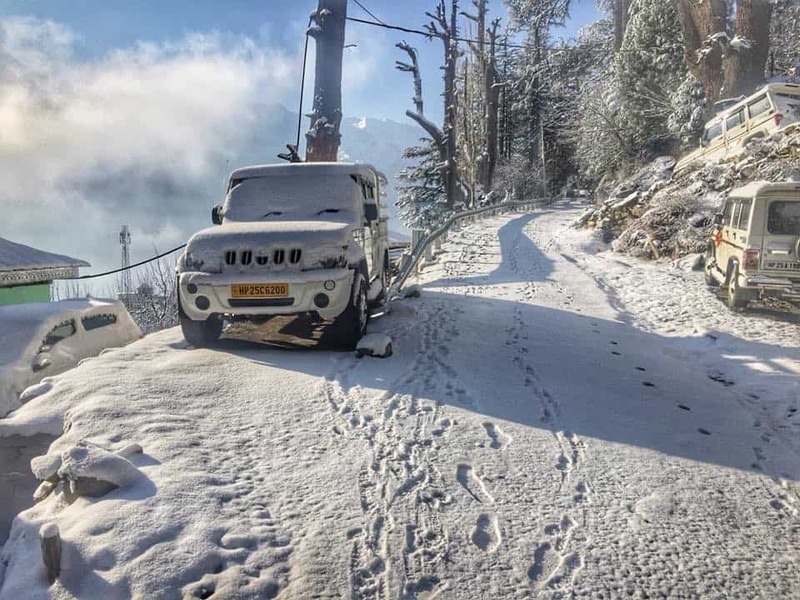 If you plan to visit higher Kinnaur Valley like Nako, Hangrang and further then while traveling you need to go through lots of hardships of ice on the roads, lack of electricity, extreme winter conditions with sub-zero temperatures. Also, only basic facilities and food will be available in most places in Kinnaur. Sometimes you need to use boiling water in hotels as even pipes tend to freeze, so running water in the toilet becomes difficult to get. A lot has already been discussed about this time period in the article on visiting Kinnaur Valley in winters. If you need modest adventure, have some buffer days in hand and loves to enjoy snow/snowfall in abundance then Kinnaur Valley is a less risky option than more harsh & unforgiving Spiti Valley in winters. When to visit Kinnaur Valley? I will suggest that if you love a mix of some snow, colors and blooming flowers, then go for the spring season, March – April. Otherwise, visit Kinnaur Valley in summers, if you want to beat the heat of plains and camp besides the river away from the mad rush of tourists. And, if you love vivid colors and apples in apple orchards, go for late monsoon or fall/autumn months. Finally, if you love tons of snow and want to make snowmen then visit Kinnaur Valley in winters. Is April the right time to visit Kinnaur Valley? March – April or spring season, is one of the best time to visit Kinnaur Valley because the weather is pleasant, flowers are in the valley and there is such a mix of snow in the backdrops and beautiful vistas. Which is the best month to visit Kinnaur Kalpa – Sangla region? March – April and September – October are one of the best months to travel to places in Kinnaur like Kalpa, Sangla Valley or Chitkul. In spring time window you will beautiful flowers and snow in the valley while in autumn season you will find best of road conditions and beautiful colors. I hope this article will help you in choosing the best time to travel to Kinnaur Valley. Do you have any questions or suggestions or need any help in planning your trip to Kinnaur Valley? Feel free to ask any queries or share your valuable inputs the season to travel on road to Kinnaur Valley in the comments section below. I hope you are not looking for any Kinnaur Valley tour packages. If yes, before commenting do check the guides and article on this website before you shell out that money. If you like the article, please feel free to share it with any of your family or friends who are planning to make a trip to Kinnaur Valley. In the next article of the series, I am going to talk about good places to stay in Kinnaur Valley in detail. This clarity was much needed! 3 years back I had been to Lahaul on a solo trip when female solo tripping wasn’t even a concept in India, and only now I realize, how does the entire circuit work. Your website is like the most amazing thing about Himachal on the internet. Thanks Dheeraj for doing this to our fellow beings and the nation! Thank you, Akanksha for the warm words of appreciation and well, yeah, things are changing in the world of the solo. I am glad you find my site helpful and I wish you best for your travel. 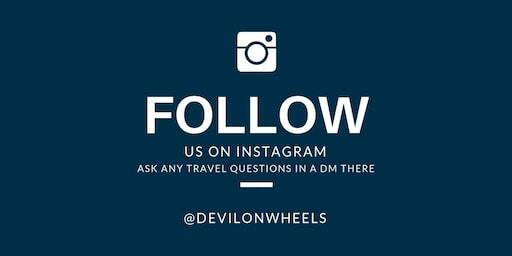 Feel free to post any questions you may further have for your trip. Wow! That was a quick response, considering you must be receiving high volumes of queries and appreciation! and yes, the more I read on your website, the more I wanted to explore, so I have posted a query on another article. Hoping to hear from you soon! He He, I like to keep my backlog small for a day or at max two, so keep replying all the queries in time. Would appreciate if you can help me understand what all areas are technically classified under kinnaur valley and spiti valley. I have seen both these terms being used interchangeably at lot of places. Similarly how do you distinguish between lahaul valley & spiti valley though they both fall under the same district. Spiti Valley: Once you cross Shialkhar village and move further towards Sumdo, just before Sumdo checkpost you exit Kinnaur Valley and enter Spiti Valley. Then everything on that route is part of Spiti Valley like Hurling, Tabo, Geyu, Kaza, Losar, Pin Valley. Technically it is said that Kunzum Pass is the place which connect Lahaul Valley with Spiti Valley and Rohtang Pass connects Kullu Valley with Lahaul Valley. However, It is true for Rohtang Pass but Spiti Valley from administration point of view the responsibilities lies up to Chota Dhara or Chatru (don’t remember exactly which of these two places) on Manali – Kunzum Pass – Kaza road and rest beyond it is all Lahaul Valley.